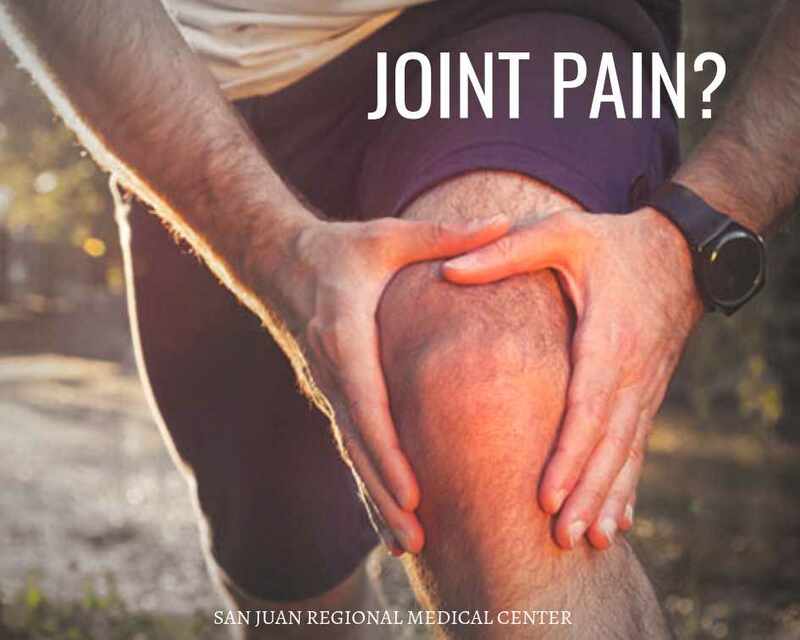 If you’re experiencing joint pain, San Juan Regional Medical Center wants to help you find relief. Plan to attend our Relief from Joint Pain class on Wednesday, April 17. It’s part of our commitment as a community owned and operated hospital to improve the well-being of those we serve. This free community class includes tips on how to live a more active lifestyle and keep your joints healthy. Orthopedic surgeons will be on hand to explain available treatments for joint pain and answer your questions. It’s a great way to learn about all of the options available for you.